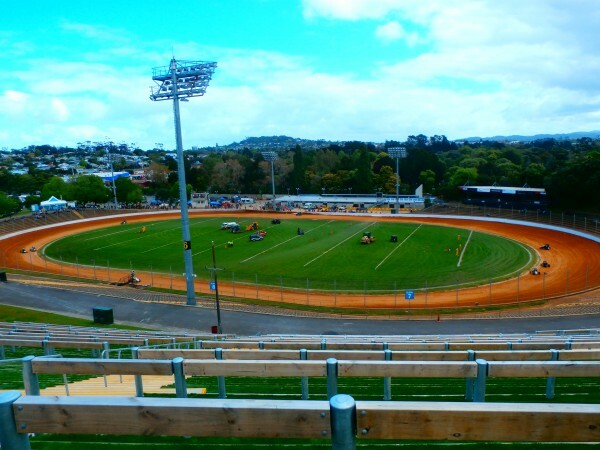 Location - The track is conveniently located near the St Lukes off-ramp of the North-Western Motorway. It's a 10 minute drive in a westerly direction from Auckland's central city. Parking - The official carpark near the track costs a whopping $5 and looks difficult to exit. Take a drive along Great North Road and grab a spot roadside. Alternatively there is a carpark alongside Great North Road. 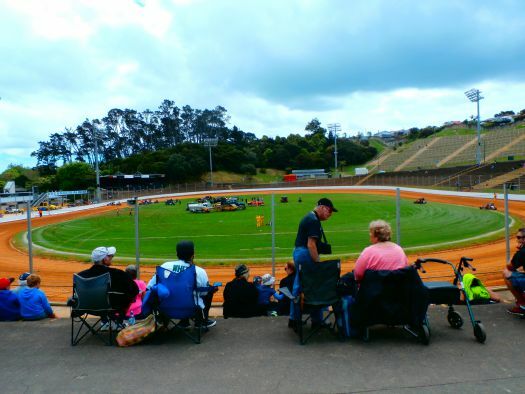 The walk to the track from this area is a casual 6-7 minutes through the green surroundings of Western Springs park. Be on the lookout for Trams travelling from Motat to the Zoo! Premiere Meeting - Boxing Night at the Springs is an Auckland institution. 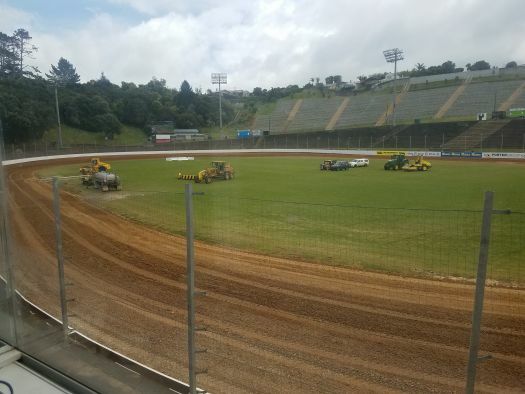 For Western Springs fans this meeting often signals the start of the big meetings. Expect a crowd in the vicinity of 15,000 fans so get there early. 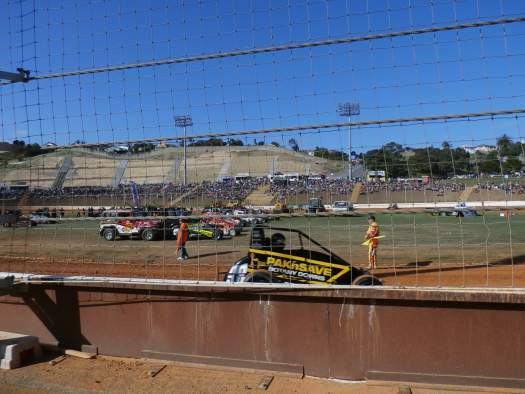 Also worth attending - The International Midget Series is the best series of the summer. 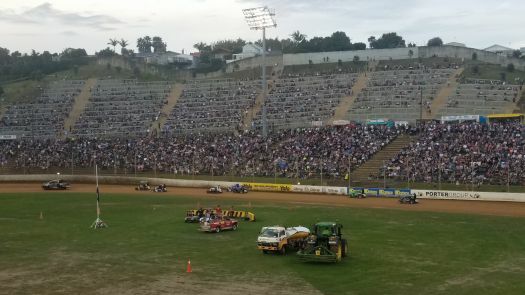 The World Midget 50 Lapper is the longest race but the racing is often overshadowed by the historic World Midget 30 Lapper and that is the event that should be pencilled into your diary. Best spot to sit - Town Bend is a popular spot due to its proximity to the entrance. DO NOT SIT HERE. Corners are not the safest place to sit at an open wheel event. Whilst the Springs fence is high and of excellent quality it is not going to stop everything. Once every 5-10 years debris does find its way into the spectator area. Try a spot along the back straight as high as you can get to get perspective on the action. 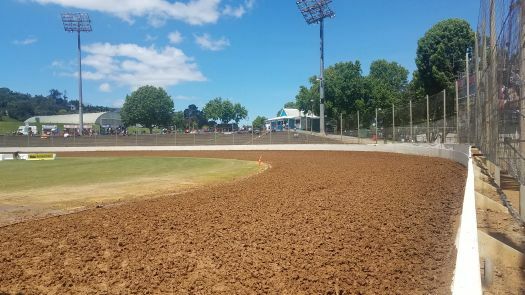 Uniqueness - Western Springs is one of the oldest tracks around having started way back in 1929. The track has seen some of the worlds very best compete. The track itself is fairly symmetrical in shape yet is quite different at each end. The tall Pine Tree's atop the hill in the aptly named Pine Tree Bend block sunlight to that end of the track. 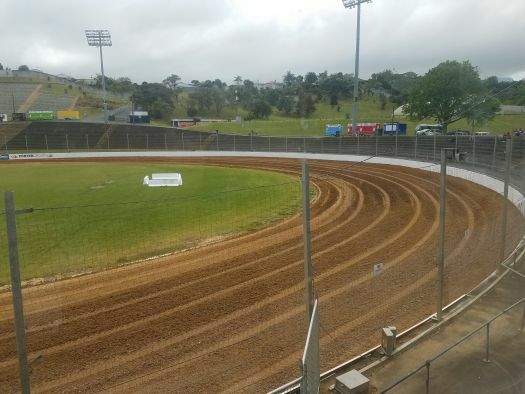 Hence Pine Tree Bend tends to retain more moisture than the other end of the track - Town Bend.